Packed house last week, making the Green Divas’ studio absolutely buzzing with boundless activity. The show was all about plastic — the good, the bad, the ugly, and what you can do to upgrade your own plastic habits. 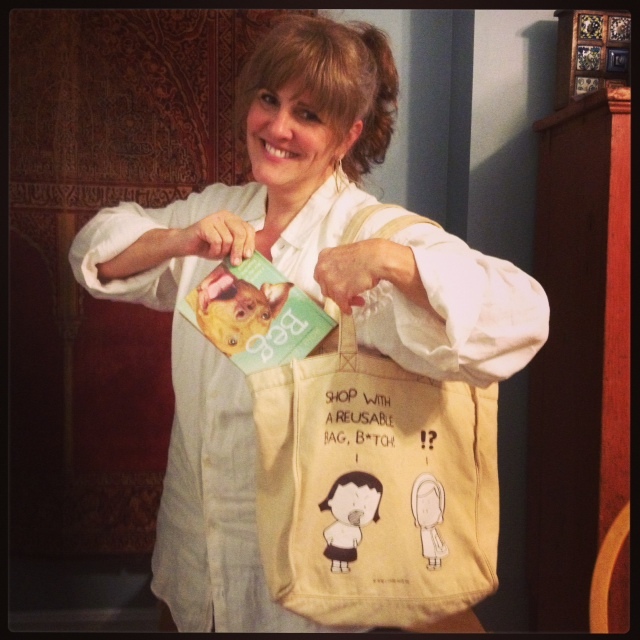 Green Diva correspondent Julie Hancher, publisher of the Green Philly Blog had some updates on her initiative to get her city to reduce plastic bag usage. Green Diva Mizar’s DIY segment was on up cycling the plastic materials that we already have around the house, plus Eco Ed Schwartz enlightened us about the harmful effects of the chemicals in plastic. Meanwhile, please listen to the whole show and/or read about the details below! She started the Green Philly blog in 2008 to encourage Philadelphia’s sustainability. She wants people to go green in the most stress-free way (hey, kinda like the Green Divas!). She wants to implement a fee for one-time plastic bag use to help consumers become more aware of their plastic use, while also educating them that they have a choice by making reusable bags widely available. Philadelphia has tried unsuccessfully twice now, but she is determined that now is the right time for this type of legislation. They have a city council person who will likely introduce it this Fall, so she is gathering community support and raising awareness about this important issue. Listen to the podcast to hear Julie’s great report! pre-polluted with these types of toxins. YIKES! Some alternatives? Ceramic, glass and stainless steel work great for food and fluid containers. page devoted to reusable bottles with a ton of great information. Get those canvas bags out too! Check out GD Mizar modeling Eco Ed’s bag in the studio. Listen to this excellent Green Dude segment on the harmful effects of plastics! GD Mizar is ALWAYS thinking of things to do to reuse whatever plastic ends up in her house. After ranting a bit about the plastic scourge and making us laugh, GD Mizar talked about a few ideas for up cycling and repurposing all those plastic bags that persistently find their way into our lives. She talked about her latest DIY tutorial and show she made some colorful beads by fusing plastic bags together. Read GD Mizar’s post to get step-by-step instructions and see the beads she made! Listen to GD Mizar’s DIY segment on creative ideas on how to reuse those plastic bags that you already have!